Customers are becoming more and more savvy, in particular about online security. Many people now look for the "padlock" icon as a trustmark before making a purchase or submitting personal information online. If your Web site doesn't have an SSL Certificate, visitors may leave before making a purchase, creating an account or even signing up for a newsletter. 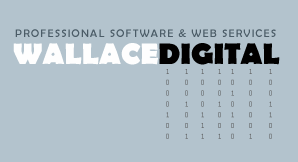 But you can change all that with an SSL Certificate from Wallace Digital.